We thought we would break up our return train trip to Paris with an overnight stopover in Bern Switzerland. We all wished we had more time to spend as it is a wonderful location. The city center and train station were clear of the graffiti and poverty sometimes seen in other capitals. 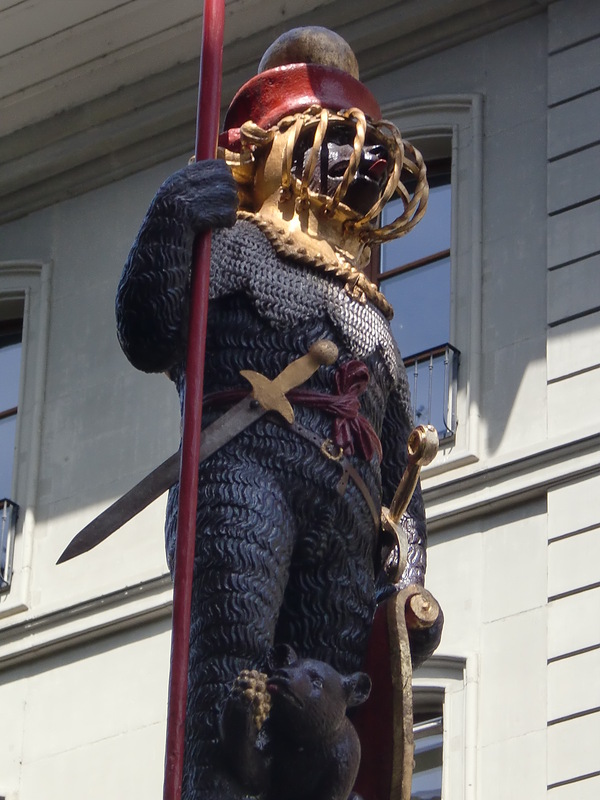 Bubba was a little concerned with the bears which are the symbol of Bern. The train station in Bern is located in a shopping mall. I later found out that the shopping mall is actually located in the train station, a subtle but important difference. Bern has some strict opening and closing times for businesses. As the train station is considered Federal property, any businesses located there are exempt from the city rules and enterprising entrepreneurs have taken advantage. 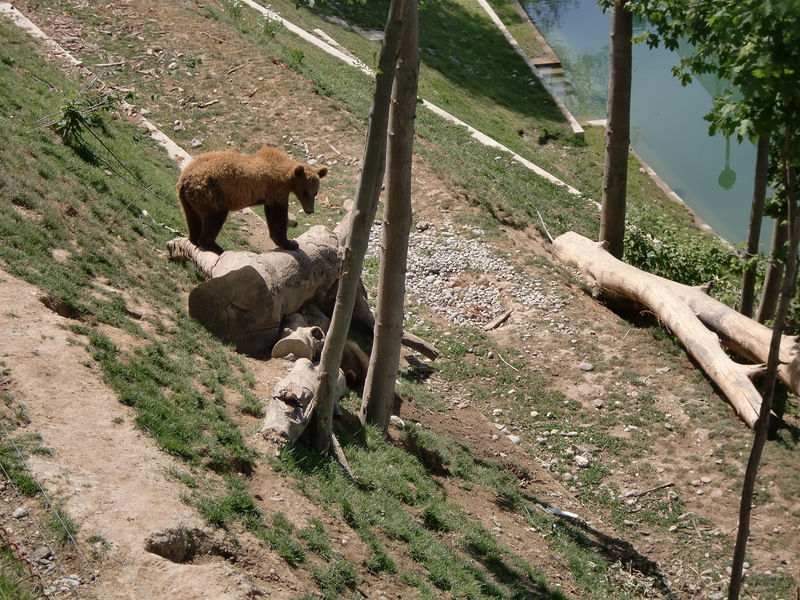 As soon as I got off the train, I felt I was being stalked by bears. A couple of times when I turned around quickly, I thought I saw one ducking around a corner or climbing a tree. Maybe I was being paranoid. 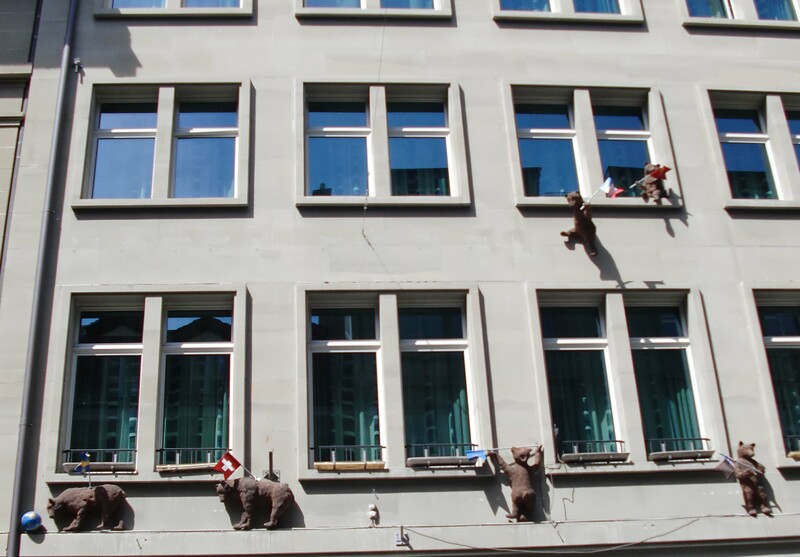 Our hotel was certainly nice and seemed bear free. 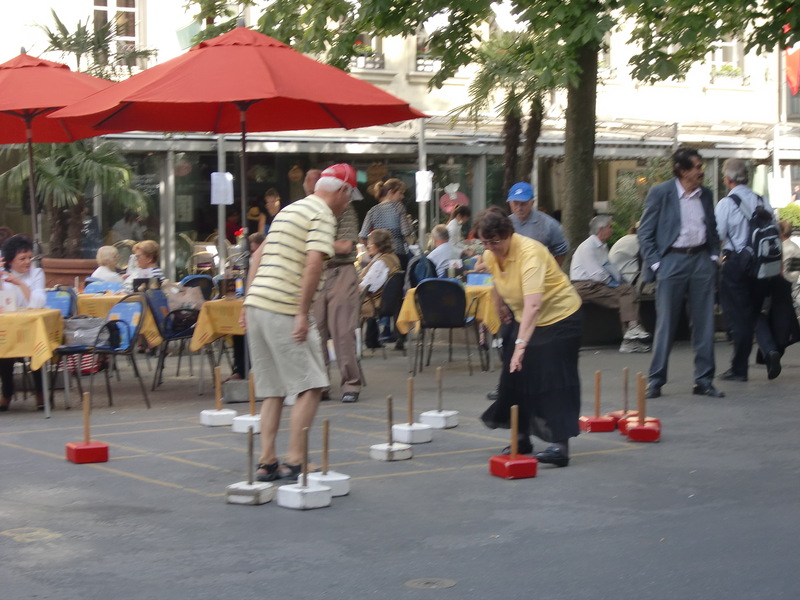 As we strolled through the wide plazas we saw a group of people watching a man and a woman playing a game that involved some blocks of cheese on sticks. I think it was Swiss cheese versus Gouda. It looked like some kind of checkers type game. I didn’t have a clue how it worked but I cheered for the man. The woman silenced me with a big piece of Smoked Gouda. We took a walk down by the river that encircles the old part of town. It is a beautiful area but I still had that bear fear for some reason. The shops line the streets in covered arcades that hint of the colder winter weather. 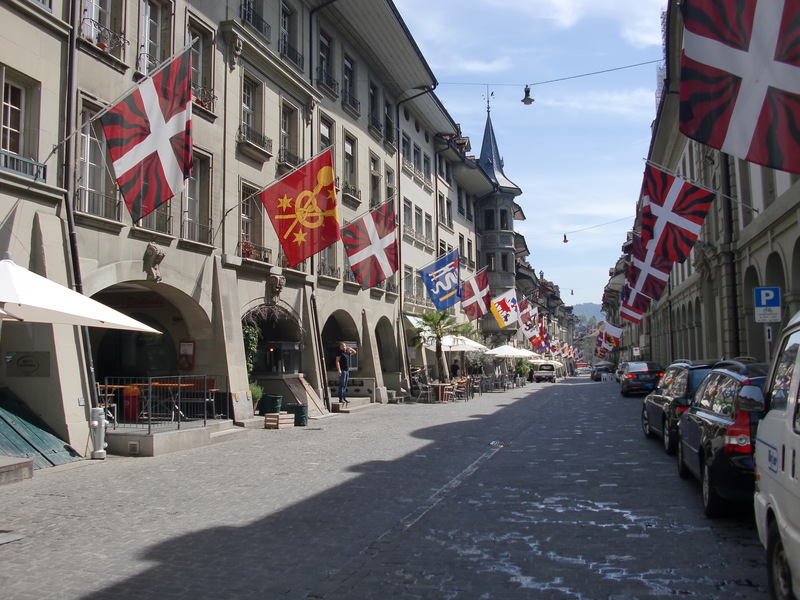 The streets have flags on the buildings and statues that show the symbols of each of the nation’s cantons. It was when we were walking down one of these streets near the grand, animated clock that we were attacked! 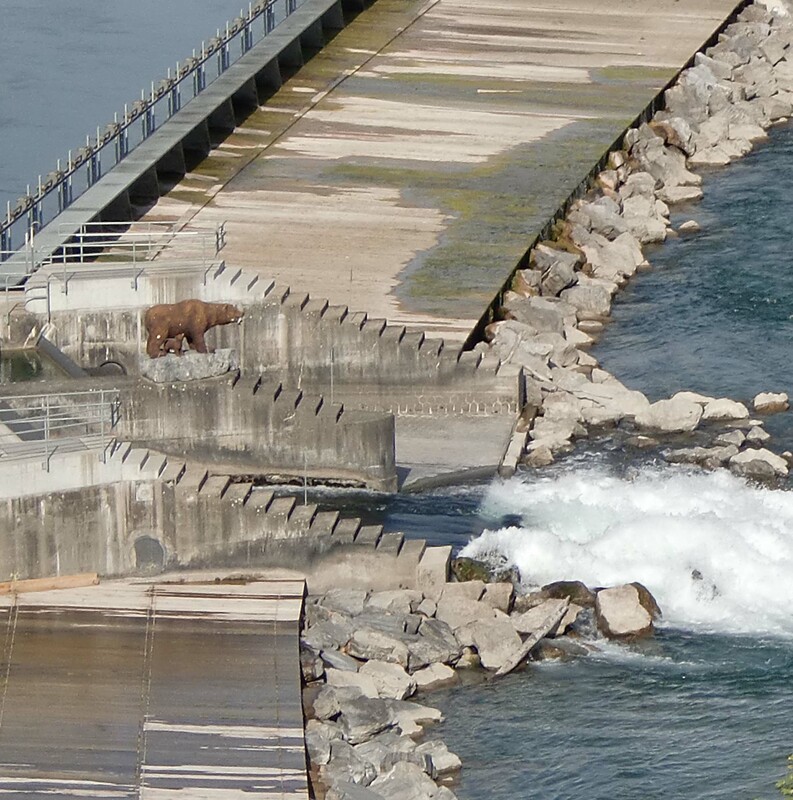 A bear dressed in armor and armed to the teeth confronted us. I armed myself, put on a helmet and leaped in front of Rick and Spider to save them from harm. 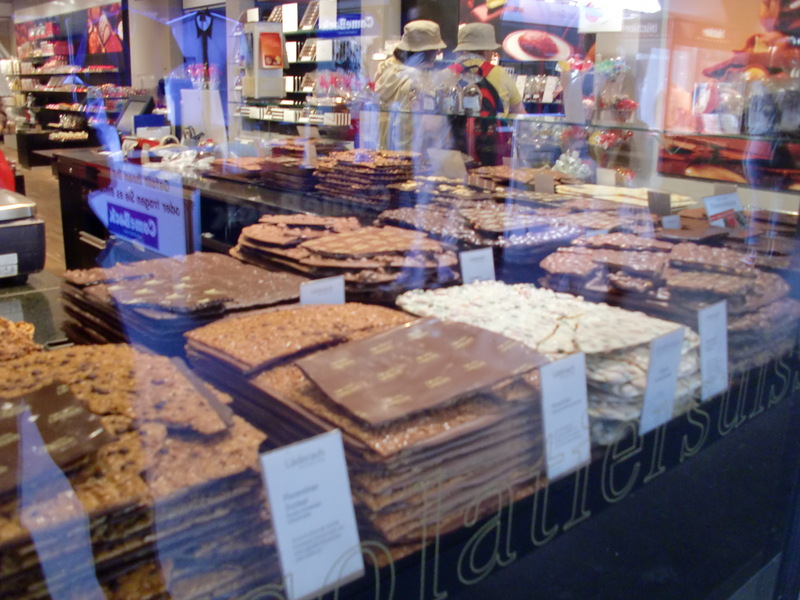 After fighting a mighty and victorious battle and being somewhat injured I stumbled into a nearby store that sold mounds of chocolate. 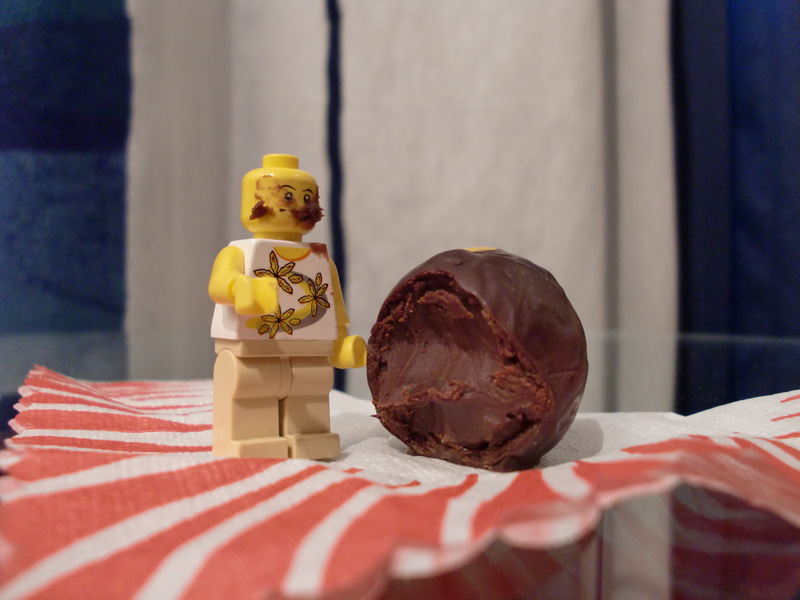 For saving my companions I was given ten times my weight in chocolate. I hurried back to the room to immerse myself in my treasure. 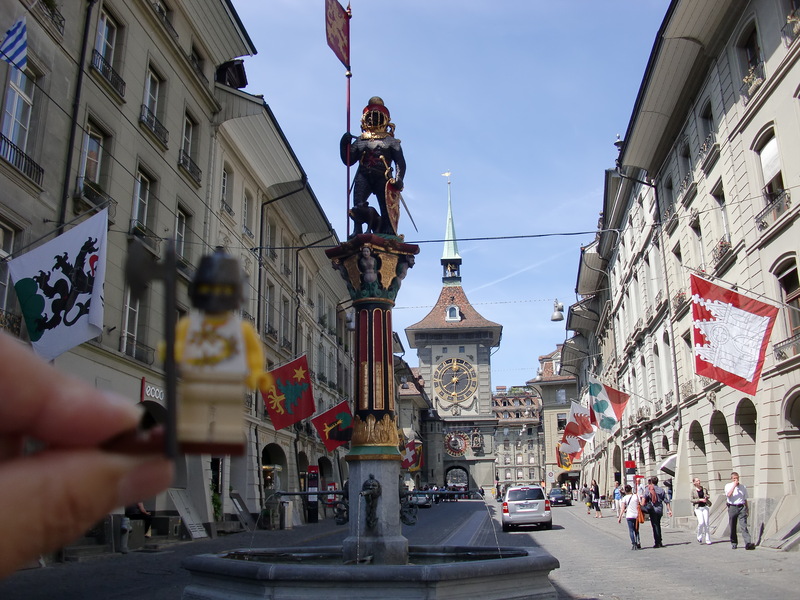 This entry was posted in Holiday, Humor, Legos, Switzerland, Travel and tagged bears, Bern, Chocolate. Bookmark the permalink.